To book your MOT test please call 01442 872711. All vehicle owners and operators have a duty to ensure that their vehicles meet the required standard of road worthiness. The MOT test has been designed to check a number of points from a checklist, which is constantly being revised, to confirm that the tested vehicle meets a preset safety standard. Regular servicing will help but will not guarantee successful MOT testing. Only garages authorised by the Vehicle and Operator Services Agency (VOSA) can carry out MOT testing. 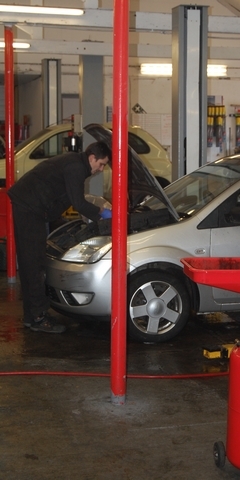 MOT’s are carried out at Delisles Ltd by qualified and experienced technicians. All our mechanics have a very good understanding of the standards required to get a car through the test. If your vehicle should fail the MOT test we can offer a complete service to get you safely back on the road as quickly and economically as possible. This includes not only mechanical repairs but welding and remedying of corrosion problems. All work is carried out to the highest standards by experienced professionals. If you have an MOT problem call us and we will be pleased to discuss this with you with no obligation.